Looking for a range of high performance green cleaning products that reduce environmental impact without compromising results? Agar has formulated a range of environmentally preferred cleaning products that are both gentle on cleaners and the environment while still maintaining excellent cleaning power. A number of products in the Agar’s Green Cleaning Range have been independently certified through Good Environmental Choice Australia (GECA), the“gold class” of Australian ecolabelling programs. GECA’s label provides confidence for buyers, confused by the host of green washing marketing material, to make trusted, environmentally sustainable choices. As cleaning is a labour intensive activity, the green cleaning products are formulated using the most effective ingredients, allowing cleaning tasks to be completed in less time, saving labour hours and energy use. Agar’s green cleaning range is also highly concentrated, reducing packaging waste and the deliveries required, ultimately saving our customers money. 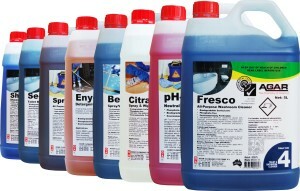 Agar’s range of green cleaning are highly concentrated to reduce packaging, water cartage and freight. In order to ensure products are correctly diluted Agar can provide a variety of dispensing equipment which increases efficiency, reduces waste and minimises cross contamination occurrences and OH&S risks. These systems can be automated or manual and support Agar’s Colour Coded Cleaning System. Producing concentrated products that reduce packaging, water and water consumption. 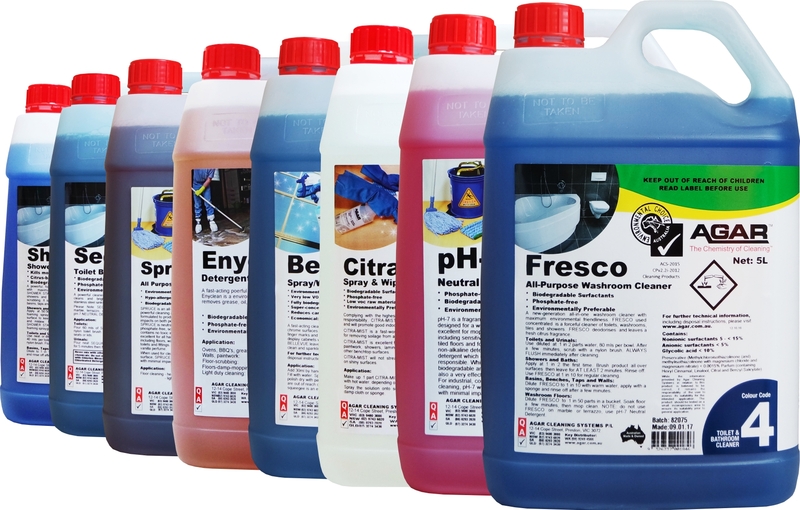 A selection of Agar’s Green Cleaning Products are licensed to GECA’s latest, and much more stringent commercial cleaning product standard (CPv2.2i-2012). 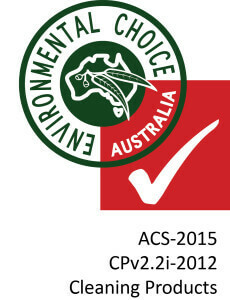 Good Environmental Choice Australia (GECA) is an independent, not for profit organisation that runs a multi-sector green certification program. GECA has no ties to the cleaning industry or any association within it, it provides certification to a range of commercial products and suppliers from all industries with all its profits go back into the organisation to fund further programs. Its ecolabelling program is internationally recognised, and is Australia’s only member of the Global Ecolabelling Network, home to other world renowned members such as Green Seal (USA), The Nordic Swan (Nordic 5 countries) and EU Ecolabel (Europe). Agar Cleaning Systems supports the production of sustainable palm oil through the Green Palm programme! 100% of the palm kernel oil used in ALL of Agar’s products is offset to help improve the environmental and social problems surrounding the production of palm and palm kernel oil. To find out more about Agar’s Green Cleaning Products speak to our customer service representatives in Melbourne, Sydney, Adelaide and Brisbane or contact one of Agar’s distributors.